This entry was posted in Expert Speak on April 17, 2017 by Advitya Thapa. Summer vacations are usually a great time to hit the pool. Large number of parents enrol their children in swimming lessons. Ms. Susan Raphael lists out some pointers for children with special education needs undertaking swimming classes. This entry was posted in Articles of Interest on April 11, 2017 by Advitya Thapa. The Mental Healthcare Bill is a huge step in the right direction, but is it enough? This entry was posted in Articles of Interest and tagged Autism, Inclusive education, Mumbai on April 10, 2017 by Advitya Thapa. Indiaspend did a three part series on living with disability in India. This article is the second part of that series. This entry was posted in Events on April 7, 2017 by Advitya Thapa. Lecture on ?The Future of Autism Care? This entry was posted in Team Special Sources on April 5, 2017 by Advitya Thapa. 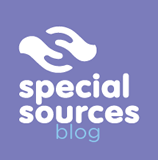 If you live with special needs or a disability, Special Sources is a one stop solution to finding the available resources best suited to your needs.